The Star of David is a six-pointed star formed by two interlocking triangles, one pointing up, one pointing down. It is named after King David and appears on the flag of Israel. 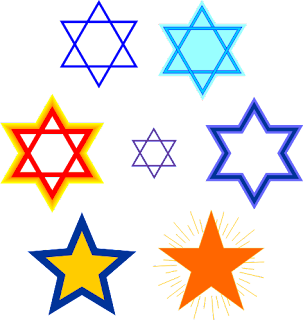 While predominately recognized as a symbol of Judaism and Israel, many Christians identify with the Star of David as well. The five-pointed star is also a symbol of Christianity associated with the birth of the Savior, Jesus Christ. In Matthew 2 the Magi (or wise men) followed a star toward Jerusalem in search of the new born King. From there the star led them to Bethlehem, to the very location where Jesus was born. When they found the child with his mother, they bowed and worshiped him, presenting him with gifts. I found this to be very interesting. I Love the thought of Jesus being called the bright and morning star. I love bright lights and sunshine. Can you just imagine our Savior being our light forever in heaven one day. I get excited thinking about it! It is wonderful to know that Jesus is our light forever.How beautiful heaven must be.We have gotten lots of rain here in N.C.where we are located.Thanks for sharing your post.It was interesting.Have a great weekend.May God Bless. Thank God for The Morning Star. We just had snow in Mississippi yesterday, but today the sun is shining bright. What an awesome God we serve. He is the Master of the wind, rain, storms, and the sunshine. Thank you so much for coming by and checking on me and for caring. 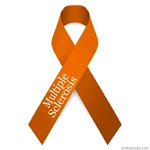 We've had a lot going on in our lives but I did a post today and I'm trying to catch up. THanks for your wonderful sends. Sorry I haven't been to visit much lately. time just gets away on me. I am going to be scarce for a bit with Christmas etc. Having my married son, his wife and our baby grandaughter coming to stay. Can't wait. Much love and blessings to you and yours for a wonderful Christmas and a happy new year.